Building a family legacy was never the original intention of the four Capuano brothers when they arrived in the United States coming from their beautiful home town of Monte Di Procida, just south of Naples, Italy. Their immediate goal was to follow Mama Rosaria's advice "to put your whole heart into everything you do, always in pursuit of health and happiness." They were taught that was the secret of success in their new land of opportunity. Vincenzo 19, and Aniello 17, who had worked in their cousins' restaurants in Italy, both came over in 1983 sponsored by their mother's brother and sister. They found work in family owned pizza shops in both NJ and PA. Their younger brother Guliano followed in 1985, and in 1986 they bought their own pizza Italian restaurant, Villa Rosa. In 1986 the family was reunited when their father Carlo and mother Rosaria came over and brought their youngest brother Floriano. They all began working together in what had now become the "family business." Shortly thereafter they bought Romeo's, a pizza and Italian restaurant about 40 minutes away. Three years later they moved Villa Rosa next door into a larger space. Their father Carlo was always looking for new opportunities and was the overseer of all family business, both buying and selling their numerous holdings. In the early 90's they bought and operated Capuano's in Cherry Hill, NJ and Franco's Tornato Pie in Yardley Borough, Pa. A few years later they opened Cafe Capuano's, an upscale BYOB location in Princeton Junction. In the mid 90's they opened Carlucci's Medford and Capuano's Ristorante in West Windsor, NJ. The common thread, besides their growing family involvement, was their signature acclaimed family recipes that were shared and enjoyed in all their locations. In the late 90's they opened Carlucci's Grill Yardley in the Oxford Oak Shopping Center and Carlucci's Express in the same center. Carlucci's Grill West Windsor came in 1999 and they purchased LB Daniels in Medford NJ during the same period. 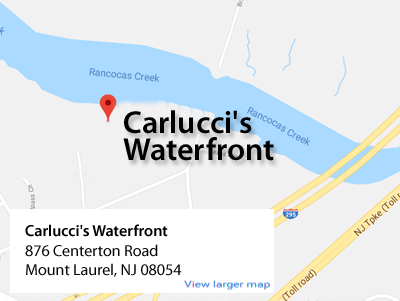 Carlucci's Waterfront in Mt Laurel, purchased in 2001 is their largest and most ambitious location, and their first restaurant with a liquor license. It seats 325 indoors and 100 additional on their beautiful patio terrace with a full view of the scenic Rancocus Creek. A 25 seat indoor bar also overlooks the patio terrace and Creek. Other locations like Mama Mia's Trattoria in Langhorne, Pa. adjacent to the entrance to Sesame Place were also opened. Patriarch Carlo was instrumental in establishing which locations would be ultimately destined for sale and those that would remain in the "family business." 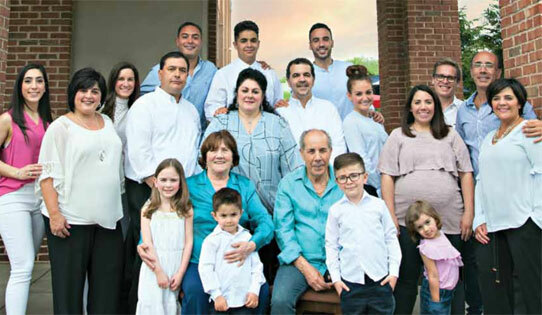 Each of the Capuano brothers, their father, mother and wives have established their particular role in each of their currently six locations; whether it be front of the house and menus, or back of the house and kitchen operation, or office and management, they can all cover for each other. Carlo, Aniello's 25 year old son, who graduated from St Joseph's University in Philadelphia with a degree in Food Marketing and Business Management, has taken a welcomed interest in all future plans especially for the Waterfront location along with Vincezo’s daughter Rosaria 28, and his son Carlo 24. Rosaria graduated for College in Italy and Vincenzo’s son Carlo graduated from Culinary School in Italy, he learned from some incredible Italian chefs. Aniello’s son Carlo along with his cousins see untapped potential and intends to keep improving this fantastic "destination location." He foresees more parties, and banquet style functions in his desire to become "every customer's first choice for their family functions and fine dining experience." Through social media and more technology and outreach, he plans to become more involved in sponsoring community functions, and in doing so attracting some of the younger generation by making The Waterfront the spot to be seen! They are currently exploring new food ideas and recipes to cater to the younger hipper crowd as well as the more sophisticated palate. His uncles share his interest and while the family is traveling back home to Italy they are always looking to improve and elevate their concept with newer and fresher ideas for the future!